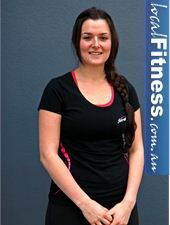 Dannii is a Ferntree Gully personal trainer. She has spent a lifetime being active - starting swimming from the age of 4 years old. From then she has always been a sports nut from Swimming to Irish Dancing and Calisthenics, Girls Football to Soccer. Health and Fitness is Dannii's passion! In 2012 she successfully completed her Personal Training certification through Fernwood Learning and has brought her extensive knowledge about Women, sports conditioning and active living to her role at Fernwood, helping provide women programs to suit their goals. She is passionate about helping women improve their health and fitness, increase in Muscle tone and drop dress sizes so they can look and feel fabulous. Dannii loves to have fun and brings this attitude to her training, but also strives to challenge and teach her clients long life skills they can take away. Knowledge = Power and she wants to share this knowledge with her clients so they can remain powerful for life. I like to change up my style depending on who I’m training. I come from a background of sports so my enthusiasm to rev people up shines through. I will train with you if that’s what it takes to push you more! I am eager to keep extending my knowledge and keeping up my studies to give back to my clients and empower them with knowledge so that they can achieve what they set out to. Focusing on barriers and what obstacles get in the way of training and keeping healthy is a what I also focus on. Having known a lot of people who have struggled with emotional eating, mental health problems, injuries and have fallen into a rut makes me even more motivated to help people with similar obstacles. Think positive, be patient and enjoy the ride! I want my clients to feel invigorated and empowered after each session. 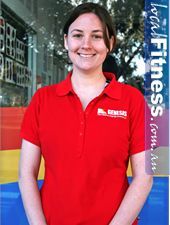 Jen is a Ferntree Gully personal trainer. Jen has been an active person all her life being involved with basketball, athletics, soccer and netball from an early age. Since graduating from year 12, Jen has completed her personal training qualifications, a diploma in events management, a diploma in sport and recreation, a Bachelor of Education (Primary) and a Bachelor of Sport and Outdoor Recreation. As a personal trainer, Jen uses her extensive knowledge and her pure passion for fitness to assist and support people to achieve their health and fitness goals. She has trained a number of Foxy Challenge Participants including the 2012 National winner. Jen has been a personal trainer since 2005 and is continually inspired by all the women at Fernwood who overcome obstacles everyday to achieve a healthier and fitter lifestyle for themselves and their familes. This is why Jen loves her job. As I have participated in a variety of sport and recreation activities, my style of training is dynamic and challenging with something to suit everyone. You need an extra push to sculpt your body. You want to lose weight and take control of your weight management. You want to have a fun and challenging workout...every time. 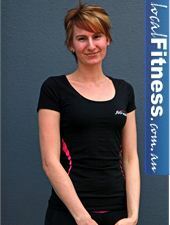 Mahalia is a Ferntree Gully personal trainer. Mahalia has always had a passion for fitness and training, beginning in her early primary school days. She loved to compete in athletics and basketball up until the end of high school. After high school, she decided that she wanted to further her knowledge in fitness and pursue a career as a personal trainer completing her certificate 3 and 4. Her knowledge and enthusiasm for health and fitness helped her become a personal trainer and now she thrives on the opportunity to share her passion and help people realise their fitness dreams. A combination of cardio and strength training with a strong focus on correct technique. Giving my clients the right information and tools to achieve the best results possible. You want to improve technique and get the most out of your exercise. You want to be encouraged and nurtured to help you excel at your fitness goals. You need motivation to help achieve the health and fitness body you deserve. 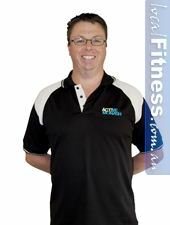 Heath is a Wantirna personal trainer. Heath was raised in a sporting family with his dad playing for the New Zealand All Blacks in rugby. He has shown the same athleticism and leadership qualities being a captain for the Chirnside Park Football club in his teens and captaining his school rugby team for many years. He has a tendency to excel in his chosen sport becoming an amateur boxer after 3 years of boxing and kick boxing training. He now enjoys the challenge of preparing to compete in Mixed Martial Arts in the near future. Training has always been a part of Heath's life. With the support of his girlfriend, family and friends he was urged to become qualified as a Personal Trainer, which has been the best decision of his life. Expect to be pushed outside your comfort zone to get results. I use strength and conditioning training. A lot of boxing for fitness work and cardio and core workouts. I like to vary workouts for my clients to keep things interesting. You want a trainer who can help you with sport specific training. You want a trainer who can incorporate fun boxing techniques and a range of new exercises. You want a trainer who can motiviate you with a friendly personality. 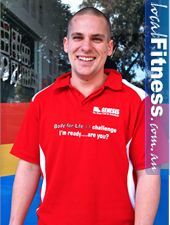 Glen is a Wantirna personal trainer. Glen has always been involved in fitness competing locally in cricket, football, running and motor cross. He started training himself for general fitness since 1998. He has always had the interest of being fit and healthy and and loved how good being fit made him feel. Training 5 days a week he wanted to help people get the same feeling. The benefits of fitness have helped him stay active and enjoy motor cross riding, mountain biking and pretty much anything with a bike. My style is anything and everything. I like to vary workouts with different exercises and introduce something new every session by teaching and showing. I incorporate a lot of strength work, boxing for fitness, and fitness testing to help clients progress and show them their improvements. You want a tailored and specific program to reach your goals. You want a trainer who can help you in general life issues whether it is high blood pressure or pregnancy. A trainer who is motivated to help you and someone who loves fitness. 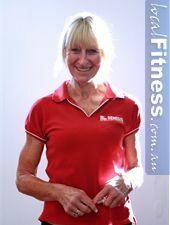 Karen is a Wantirna personal trainer. Karen has been in the fitness industry for over 22 years and counting. Her vast experience has given her the opportunity to work with many clients from sports models, miss figures, athletes and people looking to change their lives. She has worked as a track and field coach for knox athletics and ran a running club locally. She has always expanded her fitness knowledge, enjoying teaching group classes in boxing, Les Mills, cycling, aqua and COTA. Karen doesn't only preach fitness but she lives it. She has completed 10 Melbourne Marathons (she is a SPARTAN) and has won numerous triathlons. Her extensive efforts in fitness earned her a Victorian Fitness Professional of the year award in 2007. 22 years ago she started her career as a nurse and made a decision that she wanted to get people fit and healthy and give people more energy. 22 years later she has achieved this and continues to live by her initial intention. I love training people that want to get into specific sports. Running is my passion. Training for a marathon takes a lot of discipline and motivation so if you run with a group it is a lot more fun and everyone can set goals together. I use advanced strength training pushing to achieve; love running cardio circuits incorporating boxing and running the 1000 steps, doing outdoor training activities. You want a trainer with more than 22 years experience who has helped 1000's of clients lose weight. You know you want to acheive results. You want a trainer who knows her stuff with years of experience. 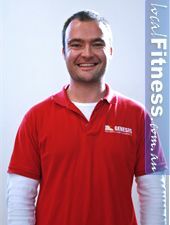 Ben is a Wantirna personal trainer. Ben has played basketball for over 6 years before moving into playing AFL football. He played for the Belgrave basketball club and the Upwey Tecoma Football club winning 3 grand finals in each sport and progressing to play with the Melbourne Tigers Junior team. In 2007 he suffered from an injury which kept him out of training and gave him an opportunity to take a break. After high-school, Ben completed a Film and TV course for 2 years but at the end of it he realised he loved fitness more. His love for fitness developed through his countless hours in sports training and his career in fitness began from there. Ben continues to train and be active in sports while continuing his career as a personal trainer. I start off assessing prior injuries and overall fitness. I then set up a specific program tailored to the client's needs, using a variety of approaches to exercise. These include strength & conditioning training, building strength and muscle gain, cardio sessions, small group circuit training, sports-specific training (eg upper/lower splits, endurance training and rehab focused exercises). 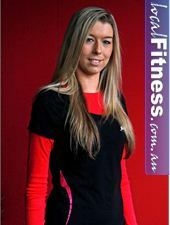 Amanda is a Ringwood personal trainer. Amanda grew up in sunny Queensland, enjoying the outdoors and many sports including athletics and swimming. Her natural athleticism helped her excel in netball, starting at the early age of 6 and progressing to play for many rep teams on a regional and state level. The demands of playing netball revolved around playing and training 6 days a week which kept her fit and active. She later went on to work at a call centre in an office environment where she developed a back condition. It was at this point she decided to either change careers completely or continue to live with the discomfort of her back pains. She choose a career in the fitness industry and now she enjoys a career in something she really loves to do - being active and helping people change their lives. After a goal analysis, I use a combination of boxing, weights training, cardio and assisted stretching in my sessions. I also utilise circuit training, mainly using cardio including skipping and running combined with bodyweight exercises. For those of my clients that are sport-specific such as in netball, I adapt to their needs - for example, I use plyometric exercises such as jump squats and balancing exercises such as dura disc work. You want to improve in netball or any sports performance. You like to challenge yourself through high intensity circuit training. Your willing to give 100% and work hard to change your body shape. Luke is a Ringwood personal trainer. Luke has been playing sports since he could walk. As a youngster he participated in AFL, tennis, hockey, and touch rugby - all on a competitive level. By the age of 18 he got more into the training side, training others in sport specific training including local football clubs. Being around training and the gym environment for many years, he became qualified and now enjoys a career as a personal trainer. My training focuses on functionality. Doing functional exercises that will help in everyday tasks. Bringing a variety of alternative exercises such as specialised ab routines and body part routines. You're looking to excel in your sport. You want a trainer who has experience training kids and older adults for fitness. You want a trainer who can incorporate THUMP boxing training into your routine. 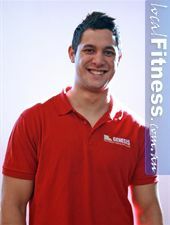 James is a Ringwood personal trainer. James was overweight as a child and as he grew older he understood the advantages of exercise and how his weight was holding him back from a healthy life. In 2002, he began fitness training seriously, getting involved in weight training and aerobic training. He has now turned around his fitness level and increased it to compete in triathlons, half marathons and endurance activities. Making these changes in his own life, he thought he could change others in the same way. He studied at the Australian Institute of Fitness and completed his Master Trainer course in 2006. His passion for fitness progressed him to PT Division Manager at Genesis Ringwood in 2008 where he manages trainers to adopt his attitude in helping make a positive change in people's lives. I have had experience in the field of endurance sports from half marathon running, road cycling to distance triathlons. As a result I have a good foundation in aerobic training and high intensity training which I like to bring to my training sessions. If you want to improve your aerobic capacity or train for endurance events. Want to be pushed or improve your sports performance. You want to enjoy your training. 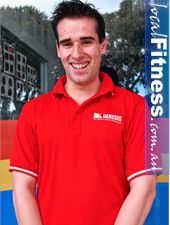 Casey is a Ringwood personal trainer. 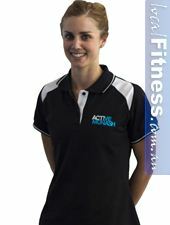 Casey is a fresh face in the Personal Training industry coming from a background in netball. She has been influenced by sports by her brother who played football and cricket. Her passion for training came from having a personal trainer herself and she really enjoyed the companionship and training. As friends were always asking her for help and advice she decided to become a personal trainer herself and help advise and train people about fitness for a living. I incorporate a lot of boxing to increase cardio fitness. I use split programs to span the work over several days. I like to mix up each week to give different exercises and I also include take home exercise to help maintain fitness. For ladies I use a lot of abs, leg and postural work. You want a trainer who is friendly and focused on your goals. You want to improve your core strength and stability. You want a trainer who can help in weight loss and toning. 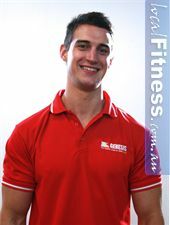 Darren is a Glen Waverley personal trainer. After going to the gym for weight loss and fitness training with my personal trainer after. 3 years and achieving great results, I decided to train as a personal trainer and change my life helping others achieve their goals. This what's been the best life changing decision I have ever made and I enjoy making a difference in the lives of others daily. 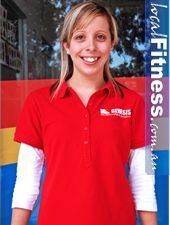 Naomi is a Glen Waverley personal trainer. I grew up in the country and have always loved training outdoors and running. It is a great way to keep fit and healthy and clear your head. I like to mix up the distances I am racing in order to challenge myself and will compete in anything from 5kn to a 42km marathon. I have recently developed an interest in triathlon and am now training to do a full Ironman next year. As I have such a keen interest in endurance sports, cardio is a major component of my sessions. I like to do this in various ways including; interval training, boxing, circuit of weights etc. I believe in order to achieve great results you need to get out of your comfort zone. 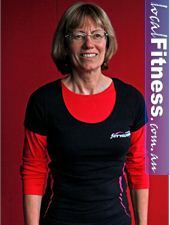 Liz is a Mitcham personal trainer. Liz grew up in a farm environment, so sitting still wasn't an option. Spending her time doing daily farm chores, Liz generally spent every waking moment outdoors. As a teenager, Sports was something she did well. She was the sports captain at school and participated in a range of sports - her favourite being tennis. She continued playing tennis in her adulthood but also badminton, squash, racketball and participated in gym, fun runs, water skiing and hiking. Career-wise, Liz started as a kindergarten teacher - something she did for 20 years. She wanted a change and completed her fitness certification in 1997 and has never looked back. Apart from 3 years in Hiatus in order to recharge her battery, Liz has been a personal trainer now for over 12 years. It hasn't all been plain sailing. In 2009 she was diagnosed with bowel cancer. She survived both the surgery and bouts of chemotherapy to continue to maintain her own fitness regime as well as helping others. Personal training is now more than a profession for her. She continues to enjoy the challenges to assist others to attain a healthy lifestyle with the added bonus of sharing life and having a laugh or two with her many clients. I love variety in my own fitness so I endeavour to give my clients variety in their programs. Boxing and core exercises are among my tools for assisting my clients to achieve their goals. Strengthening your core muscles, switching on your stabilizers, keeps injuries at bay. Core strength protects your lower back. Boxing is also a fun way to add cardio and strength into your workout without resorting to the impact associated with running. You wish to improve your core combined with overall strength increases. You love a varied and stimulating training session. You want someone who focuses on you and your goals. Stephanie is a Mitcham personal trainer. Stephanie started becoming involved with fitness through sports in school. She participated in netball and soccer and soon after school she joined a gym. Loving the atmosphere and the lifestyle, she decided to become a personal trainer studying at the Australian Institute of Fitness. Her first job was as a member motivator at Fernwood. She was excited to join Fernwood as they really care about the happiness of their members and helping reaching women's goals around Australia - something she wanted to be a part of. Stephanie believe she has her dream job and looks forward to helping as many people as she can to reach their health and fitness goals. My influences in sports such as netball and soccer have taught me the importance of cardio and strength training for sports and for life. I try and make women understand the importance of exercise for everyday life. I want to make it fun whether it's just with me or in a small group of women. You want to lose weight and tone up your body. You want a trainer who will motivate you and help you succeed. You want to train among friends and enjoy the benefits of strength training.